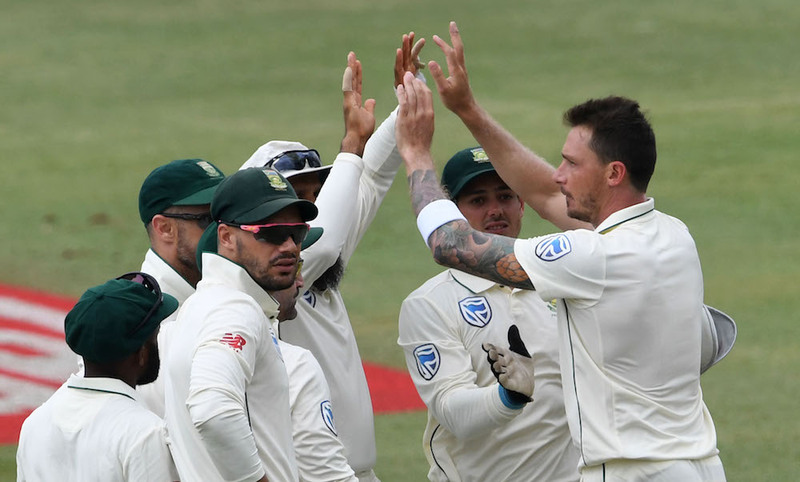 The Proteas’ seam attack took crucial wickets before lunch on day two to reduce Sri Lanka to 132-6 at Kingsmead. KHALID MOHIDIN reports. The Proteas began their road to recovery in the perfect manner on Thursday morning on day two of the second Test. Dale Steyn continued his menacing form from day one with the early dismissal of Oshada Fernando. He banged in a length delivery around middle and leg that rapped the debutant on the pads, who failed in his attempt to flick the ball to leg. His dismissal saw Sri Lanka’s second wicket fall with the score on 51. Philander joined his opening partner in the wicket festival by picking up two crucial wickets shortly thereafter. First up, he removed Sri Lanka skipper Dimuth Karunaratne. 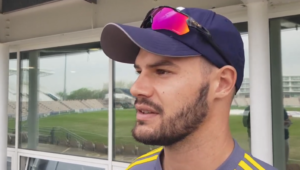 The Proteas all-rounder swung a delivery in on leg stump and rapped the batsman on his pads after he mistimed his flick shot. The visiting skipper’s wicket was crucial to holding his side’s innings together, and with his score on 30, he naturally called for a review of the decision. Replays showed that the ball pitched just in line and would have held its course to knick the leg stump. With the umpire’s call validated, Sri Lanka were three down for 53 runs. Sri Lanka are 57-3 after 21 overs. Philander then removed the danger man Kusal Mendis for 12 after he had helped lift Sri Lanka to 76-3. A beautiful delivery from Philander saw Mendis squared up, and he nicked the delivery to second slip where Faf du Plessis took a super, low catch. Duanne Olivier joined the charge and dismissed attacking wicket-keeper batsman Dickwelladoing by doing what he does best. Olivier banged in a short-of-a-length delivery outside off-stump, Dickwella took the bait and top-edged a pull to Steyn at a very fine third man. The catch knocked the visitors back to 90-5, but Kusal Perera kept Sri Lanka’s innings alive, and with help from Dhananjaya de Silva, the visitors climbed to 133-5 just before the lunch break. Silva had looked good for his 23 before Kagiso Rabada spoiled his party. KG angled a lethal delivery into the body from wide of the crease and lured the batsman into playing the pull, only to be fooled by the pace, top-edging his shot to fine leg where Olivier took an excellent catch. The wicket saw Sri Lanka head into lunch on 133-6, trailing by 102 runs. The key man for the visitors during the afternoon session will be Perera, who will resume after the break with his score on 37.